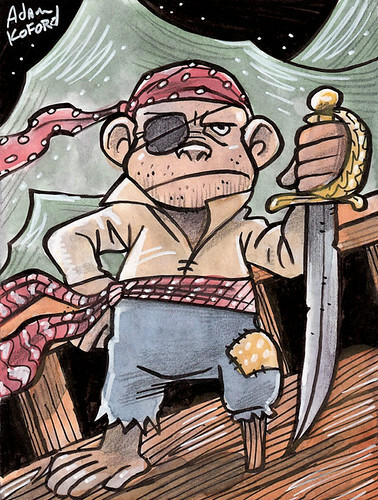 Tiny Pirate, Monkey of The Seven Seas, a photo by Ape Lad on Flickr. Combining two of my favourite things in one cartoon! Only three more sleeps until Talk Like a Pirate Day. Next Post Ask General Kang: Are there pirates where you come from?